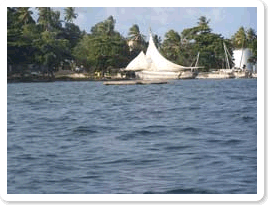 Description: An island just North of Mainland Zanzibar, Pemba is far-removed from the relative hustle bustle of Zanzibar. It is also known as the green island because it is lush with plant life. There are often only a few dozen tourists on the entire island. 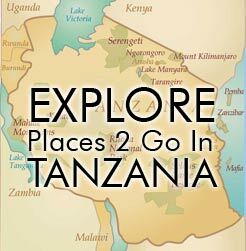 Attractions include an ancient forest, archaeological ruins from the earliest Swahili civilizations, a few nice beaches and incredible scuba diving. Time: Spend at least 3 nights. Animals: Pemba flying fox, marsh mongoose, a small variety of primates including the endemic Pemba vervet monkey, and interesting birdlife.